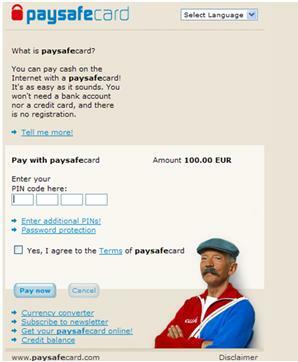 Paysafecard allows you to make deposits into your ClemensSpillehal account anytime. It is safe, easy, and anonymous. Paysafecards are available in many different places, petrol stations, newspaper kiosks, electronic stores, post offices, book stores, banks and many more.